Charged with recreating the front yard of this 1930s Cape Cod style home to compliment the remodel of the house itself, Segal Shuart designed a new pedestrian entry experience and expanded the usable driveway area to support the family’s needs. New brick walls and columns matched existing brick on the house, and new fences and gates created privacy while tying into the existing aesthetic. Poured in place concrete and synthetic turf comprise the driveable area. 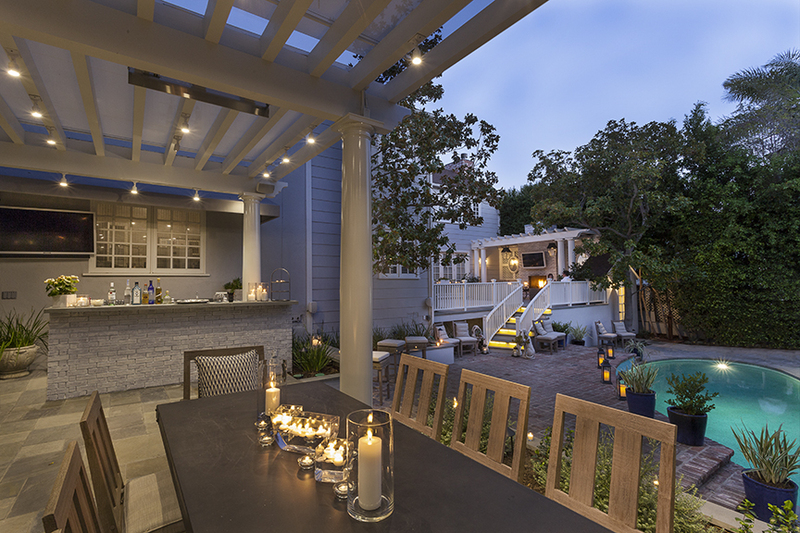 A new dining pavilion was integrated into the back yard, including outdoor kitchen, bar, and lounge area.